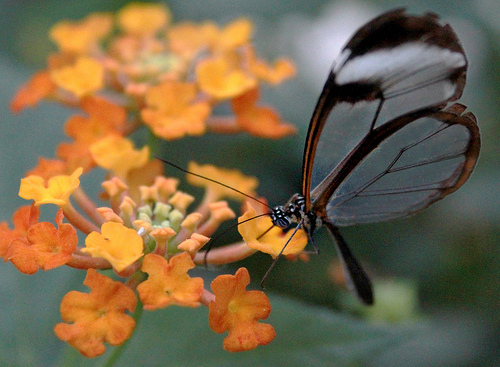 A butterfly with translucent wings is both rare and beautiful. As delicate as finely blown glass. 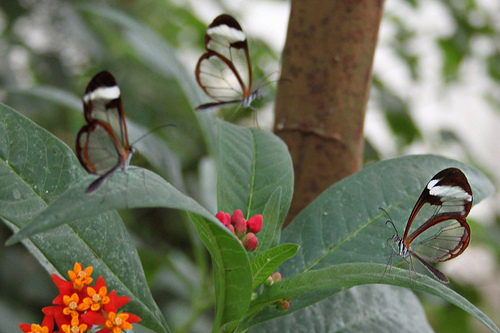 I stood, transixed looking in wonderment at the sight before me, occasionally looking through their wings to make sure that my eyes were not deceiving me, could it be that something so precious is sharing the same air as me?! 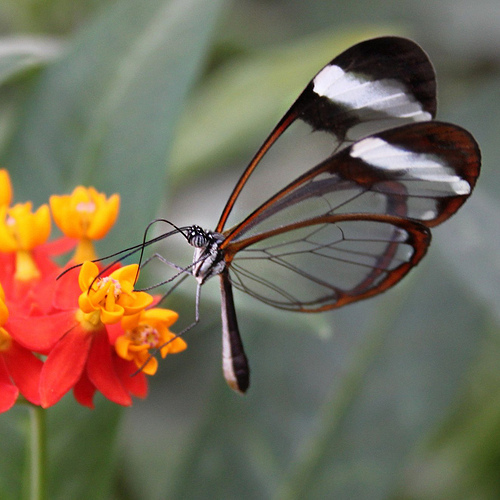 And with that thought the glass winged butterfly flew off to another leaf. Maybe it didn’t appreciate my camera lens interupting its lunch!